The DD4405 Dri Duck Men’s Long-Sleeve Catch Fishing Shirt is available in Sizes S-4XL. It can be purchased in your choice of the following colors: Deep Blue. Fog, Grass, Mushroom, Sky and White. 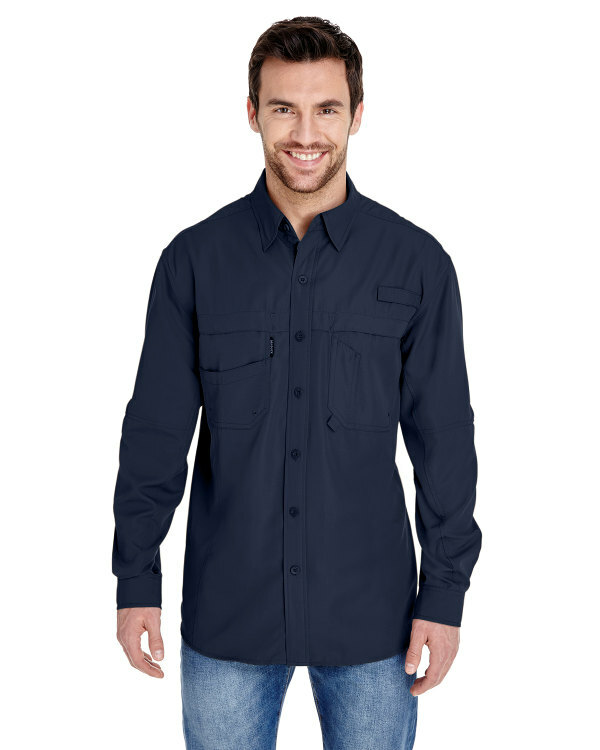 This UPF 40+ sun protection Men’s Long-Sleeve Catch Fishing Shirt has industrial strength and heat resistant buttons with full ripstop polyester and is perfect for active men.